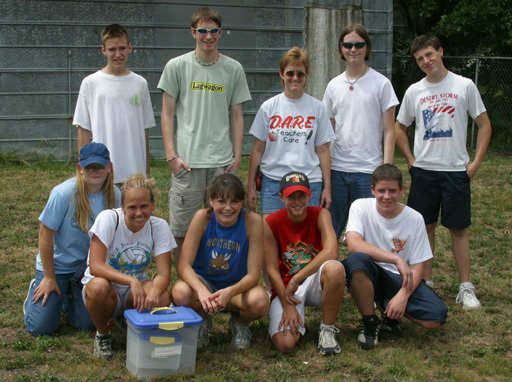 Following are a few photos representing some of the many herpetological related activities that have involved students from Norhtern Hills Junior High School since 2001. 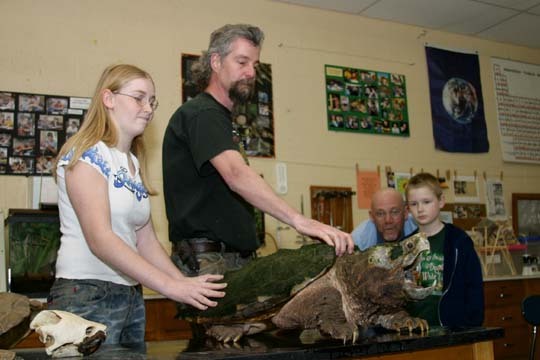 Alligator Snapping Turtle to NHJH during March 2003.
a turtle while on a field trip with the KANSAS HERPETOLOGICAL SOCIETY. Click on the above photo or on this text to go to the official KANSAS HERPETOLOGICAL SOCIETY website. pose with NHJH students during a KHS field trip. Click here to go to "Alien Lizards of Topeka" and learn more about some very intresting reptiles. 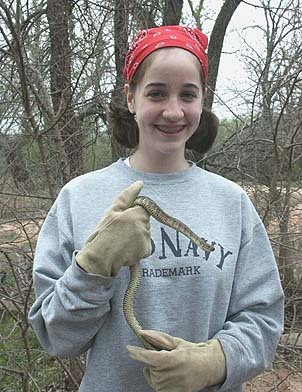 biology student about a Western Green Lacerta during October 2004. 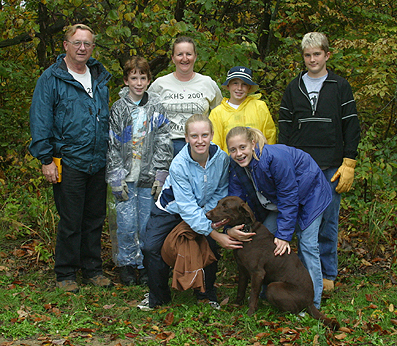 Click here to go to the "Running of the Lizards" page featurning photos from the 12 September 2004 event sponsored by the Center for North American Herpetology. Click here to go to a New York nature article about wall lizards on Long Island. There is a reference to the Topeka population too. is important while collecting Italian Wall Lizards. 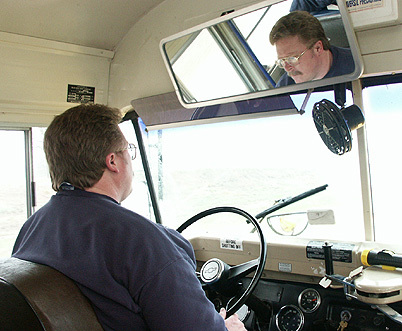 a bus to and from science field trips. an away from school field trip to southern Kansas. 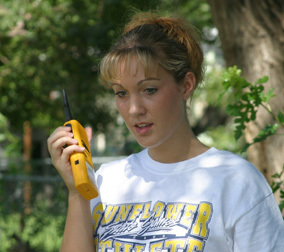 Do you have a question about an amphibian, reptile, or turtle found in Kansas? 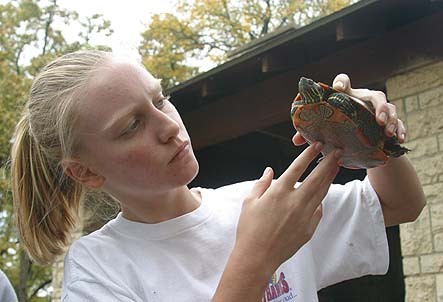 Do you have information about herpetology that you would like to share with others? 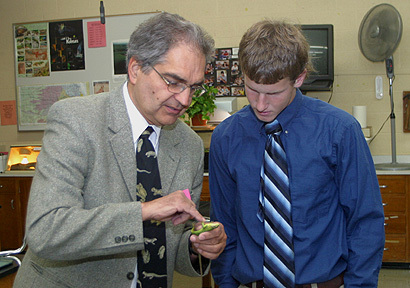 Are you just interested in herpetology? Check out the website below if you answered yes to any of the above questions. You can obtain information, view photographs, listen to frog calls, ask questions, and much more at this outstanding website. 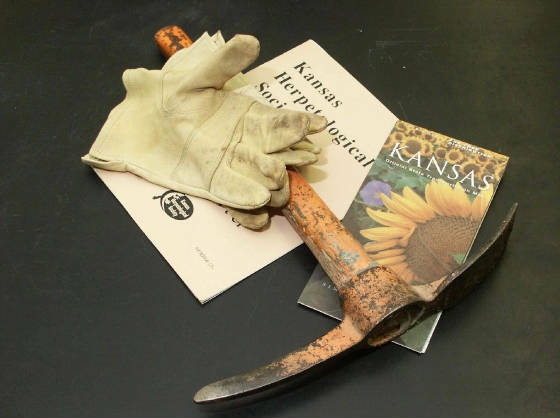 Click here to go to the Kansas Herpetology Atlas. Click on the image below to go to the official KANSAS HERPETOLOGICAL SOCIETY website.